Two Iranian warships docked in Port Sudan on Saturday, a witness said, marking the second port call by the Iranian Navy in Sudan in five weeks. It did not say how long the warships would stay in port. Khartoum said it was a “normal” port call but Israeli Officials have expressed concern about arms smuggling through Sudan. They have long accused the African country of serving as a base of support for militants from the Palestinian Islamist movement Hamas which rules the Gaza Strip. 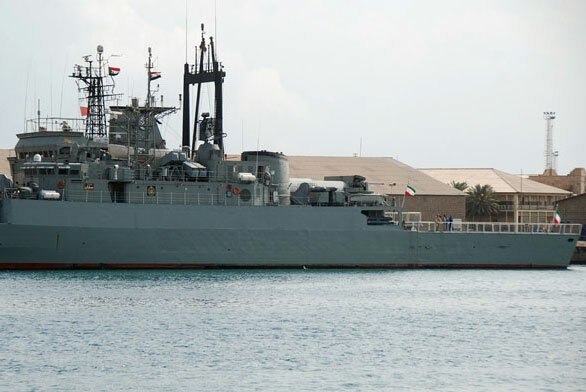 Sudanese Army Spokesman Sawarmi Khaled Saad had initially announced the warship visit for November 30. “It is part of diplomatic and military exchanges between the two countries,” and will last for three days, he told reporters on Friday night. A pair of Iranian Navy vessels, the supply ship Kharg and corvette Admiral Naghdi, spent about two days at Port Sudan in late October. Sudan’s links with Iran have come under scrutiny after Khartoum accused Israel of an October 23 strike against the Yarmouk military factory in the capital, which led to speculation that Iranian weapons were stored or manufactured there. Israel refused all comment on Sudan’s accusation about the factory blast. Eight days of fighting between Israel and Hamas ended on November 21 with an Egyptian-mediated truce after 174 Palestinians and 6 Israelis were killed. The Jewish state has accused Iran of supplying Hamas with its Fajr 5 missile, used to target Tel Aviv during the conflict. Khartoum said Israel was spreading “fabricated information” about links between the Yarmouk military factory, Hamas and Iran. Sudan’s Foreign Ministry denied Iran had any involvement in the plant. A Pakistani frigate visited Port Sudan in late November.